Developed with dentists to help protect children's teeth from Acid Wear. Everyone recognises sugar-related tooth decay as a major issue in children's oral health. However, dentist are increasingly concerned about the frequent consumption of acidic foods and drinks found in today's diet: fruits, juices and soft drinks. New permanent and milk teeth can be vulnerable as acids can weaken enamel, allowing it to be slowly worn away. 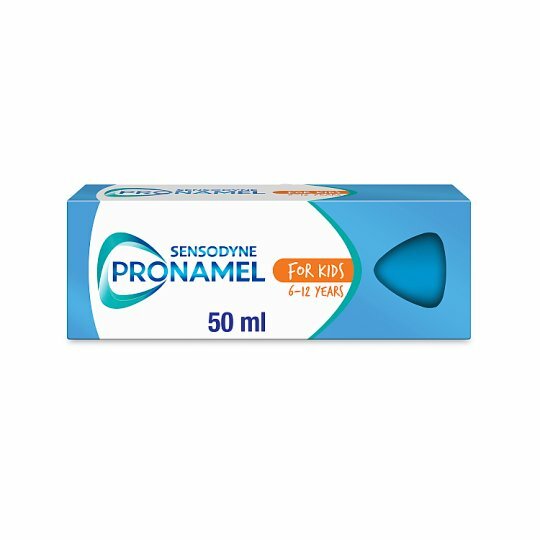 Pronamel for Children is specially formulated to strengthen weakened enamel and protect your children's teeth from the effects of Acid Wear and tooth decay. 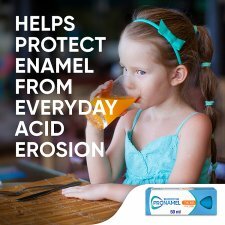 It's a daily toothpaste: it cleans and freshens plus makes your children's tooth enamel stronger and healthier every day. Brush twice a day and no more than three times, minimise swallowing and spit out. If irritation occurs, discontinue use. Your dentist may recommend a 1450 ppm fluoride toothpaste for children under 6 years if they are at risk of cavities and/or Acid Wear. 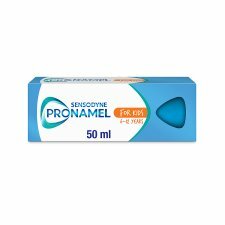 Children of 6 years and younger: Use a pea-sized amount for supervised brushing to minimise swallowing. In case of intake of fluoride from other sources consult a dentist or doctor. Children aged under 3 years: Use a smear of toothpaste. The ends of this carton have been glued down. Do not use if carton ends are open.